In K-Town everybody familiar with the word "Chemistry",People often talk about the chemistry between the onscreen leads,but then there are some off screen pairs exists which made a strong impact in the mind of a common film goer. one such bond that is very much essential for a film is the bond between the Director and music director,in fact the songs in the film gives the first impression & always there is a saying called first impression is the best. 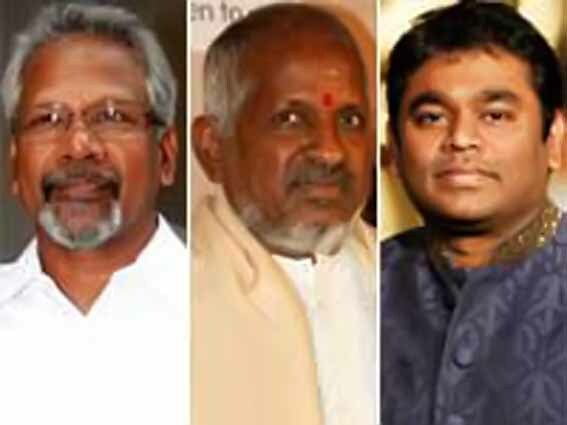 There are many such Music Director & director combination which gave some evergreen songs but they parted away due to some issues. Among all these combination one cannot forget the Raja sir & Mani sir combination. Right from Pallavi Anupallavi(1983-Mani sir's first film which had a popular love music which is used by Vishnuvardhan in Sarvam)to Thalapathy(1991) the combination shook the entire South Indian Industry. But as Kamal says "every man has a breaking point" this combination too parted away at a point of time not because of any bitter issue but Mani sir found a musician who has a strong potential as good as Raja sir thy name is AR Rahman ,though people enjoys AR Rahman & Mani sir combination one cannot forget those evergreen songs delivered by the Raja sir and Mani sir. Similarly among the current generation ,Yuvan shankar Raja & Selvaraghavan made a great impact and produced one of the best album of our times,their combination started with Thulluvatho Illamai(2001) to Aadavari matalaku ardhalu verule(2007-Telugu version directed of Yaradi Nee Mogini),especially the theme music in Pudhupettai,7g Rainbow colony is one of the best in the industry that is ever made. Goutham menon, one of the few directors who gives so much importance to the songs & his combination with Harris Jeyaraj delivered one of best romantic albums from Minnale(2000) to Varanam Ayiram (2008)and even in the recent Maatran Audio launch KV Anand literally made a request to Goutham Menon & Harris Jeyaraj to work together. It doesn't means that without these combination their film's failed to deliver a good album, you may have lot of friends in your life but one cannot forget the days you spent with your old school friend.